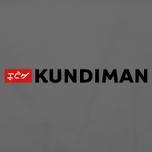 Kundiman Philippines are a musical and expressive style of Filipino songs conveying a message of love, devotion, romance, passion, or sadness. The music and content can also be based on a love story. Poetical feelings and emotions are depicted by this musical style in the Philippines. Tagalog is used to write the lyrics of these Filipino love songs. Melodramatic pauses, and a soft, slow moving, graceful rhythm distinguish the melody. Traditionally it was used as the primary method of serenading in the Philippines accompanied by an acoustic guitar. This Kundiman Philippines talks about commitments made by lovers to be loyal to each other. It is also about the way love is able to overpower economic inequalities among people in love. What is essential, according to the song, is love that is genuine, true, and everlasting. Love makes your lifetime worth living.